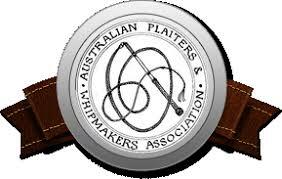 So the A.P.W.A is not what it used to be not since Kerri & Chris Barr left, this stopped the forums and a really fantastic flow of information, I haven’t been a member for many years now, once they started appointing no name American makers as moderators and that type of thing it started to go a little down hill in my opinion, I must admit I always struggled with it as they have the name *Australian* in the title and Australian I very much am not, there should really be a UK &EU Plaiters association or WhipMakers association methinks! 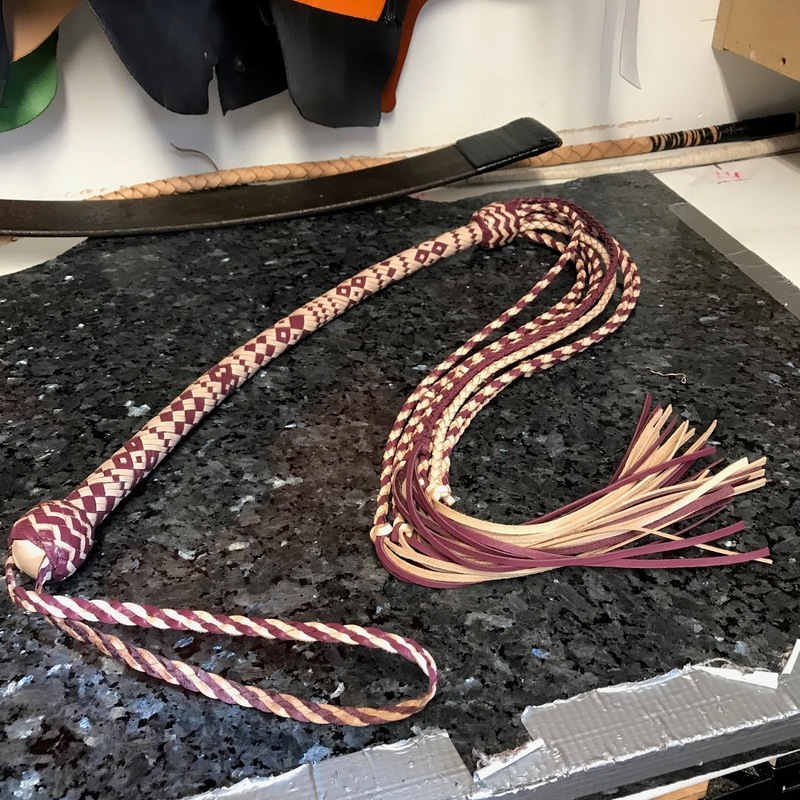 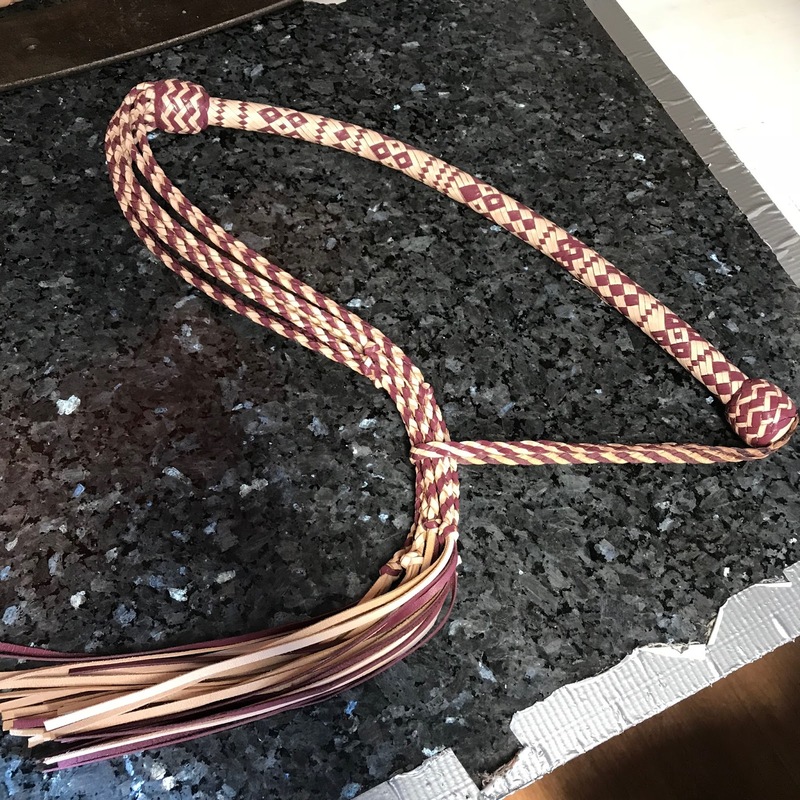 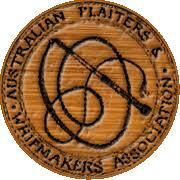 Anyway yet again I digress according to The A.P.W.A a 20 plait and above should be considered a show whip and that I very much agree with, I should explain really a whip is whatever diameter you make it, usually an Ozzie style whip is 20 made 22/23mm at the but end and tapers, in a snake and signal from the getgo and in a bullwhip from the transition, give or take, so the formula to work out how wide the laces are you use is the same be it an 8 plait or a 32 plait or whatever plait, the same amount of leather is used its just a matter of how many strings you divide that leather by, moving on from that you don’t need to be the brain of Briton to figure out the smaller the laces you use the weaker they are…It’s not as they say rocket science. Look below you’ll see what I mean?